Former gasworks in Bosscherveld Maastricht (NL). It has been build in 1912 by the architect J. Wiebinga. Producing gas for the city of Maastricht till 1930. Wiebinga has transformed an existing German prototype of a gasworks with a steel construction into the first reinforced concrete type. Because of this fact the building is a classified monument. 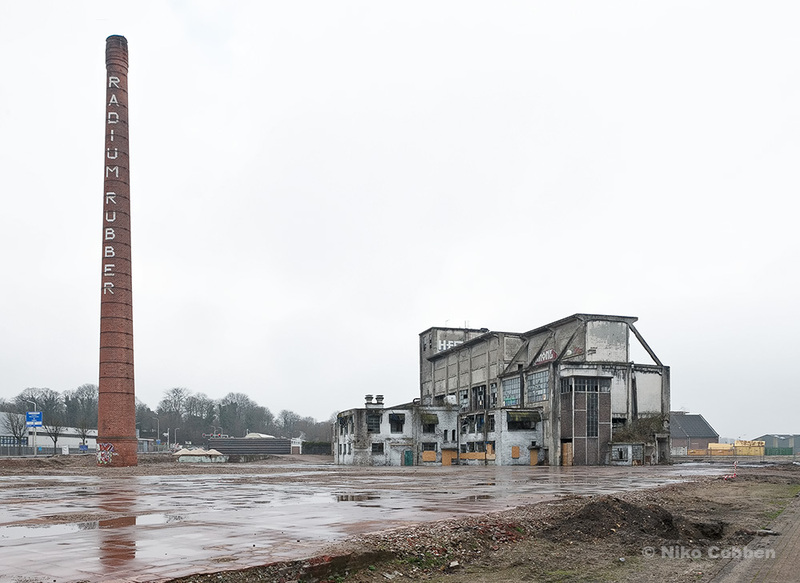 Recently it is set free by demolishing the surrounding buildings partly belonging to the former Radium Rubber; the chimney will be preserved also.